RealLove is a nice animated relationship calculator. RealLove shows you in different ways how long you’ve been together since. Personalize RealLove and add your own photo. Let me remind you and never forget your first day. 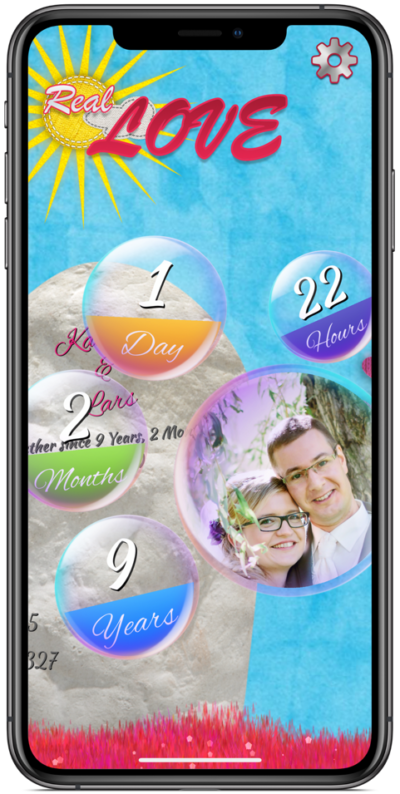 With the TodayWidget you stay up to date quickly. My goal is to expand and improve RealLove. Real Love comes without advertising and InApp purchases.